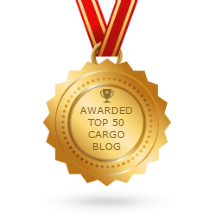 K Intl Transport has been selected as one of the Top 50 Cargo Blogs on the web. This is the most comprehensive list of Top 50 Cargo Blogs on the internet and we’re honored to be a part of this! International Transport of Vintage and Classic Automobiles to Port Livorno, Italy! International Automobile Shipping of Vintage Cars to Port Lisbon, Portugal from the United States!